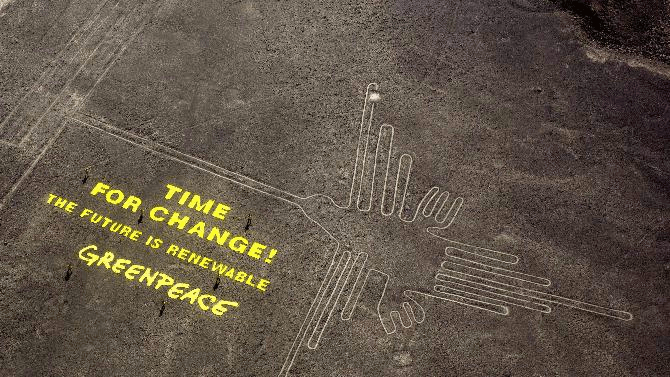 Greenpeace vandalism of an irreplaceable treasure. You can just make out the ego-warriors posing brazenly by their criminal handiwork. Click for larger version.